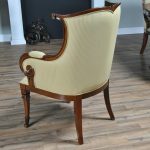 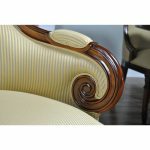 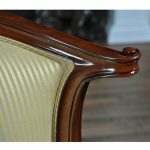 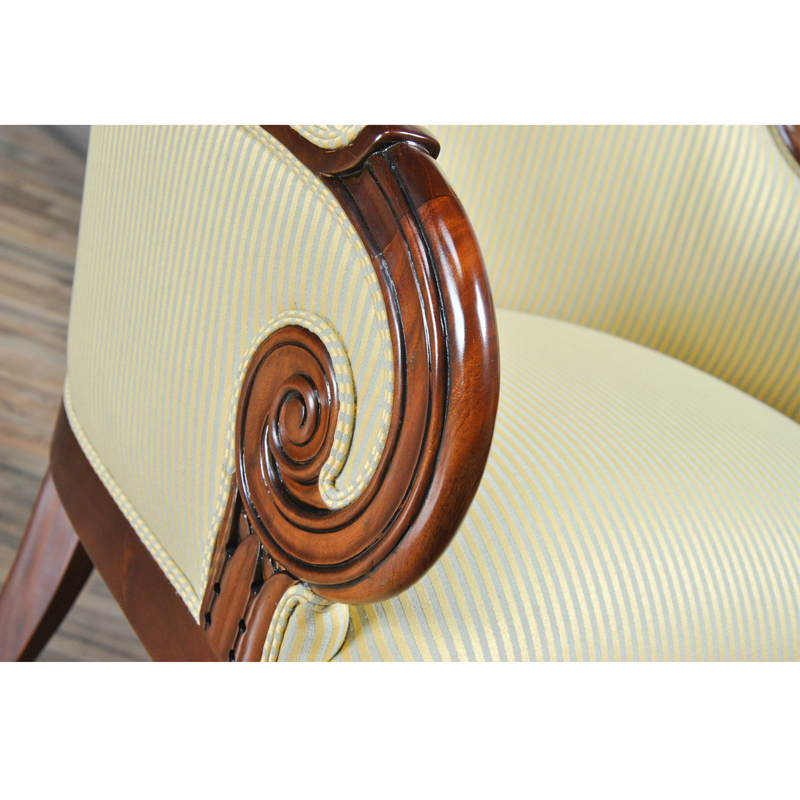 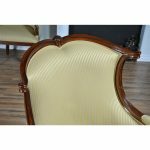 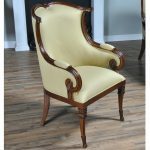 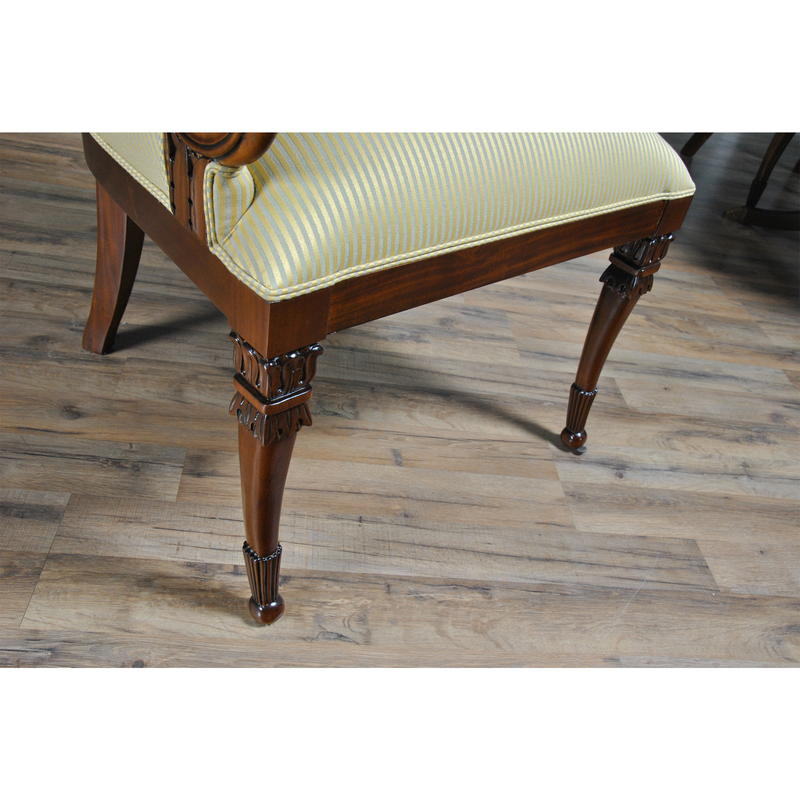 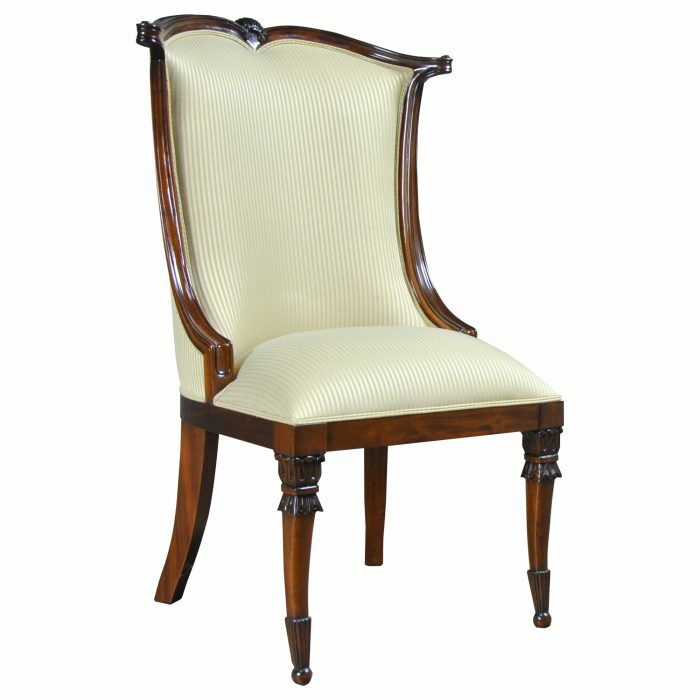 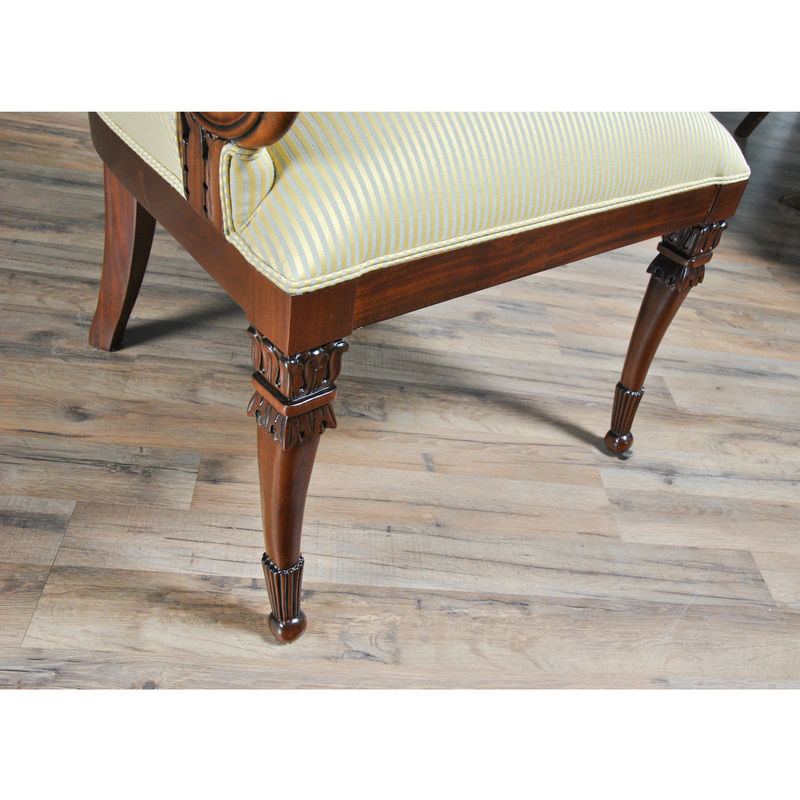 The American Upholstered Arm Chair as offered by Niagara Furniture. 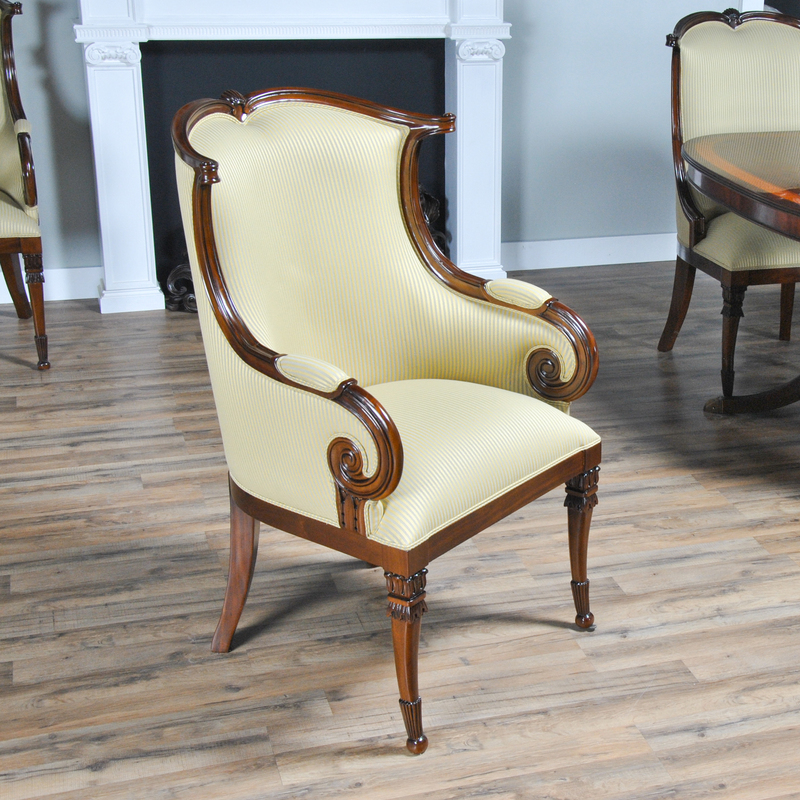 Wrap yourself in luxury while at the dining table. 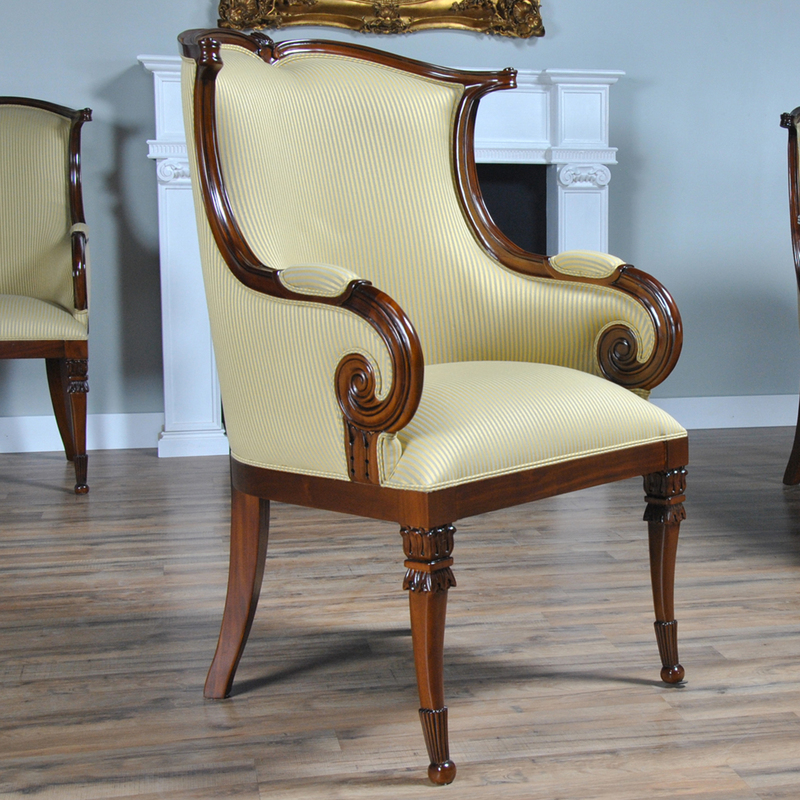 We had so many requests for our traditional fireside chairs to be used in the dining room that we adapted them to fit with the American Upholstered Arm Chair. 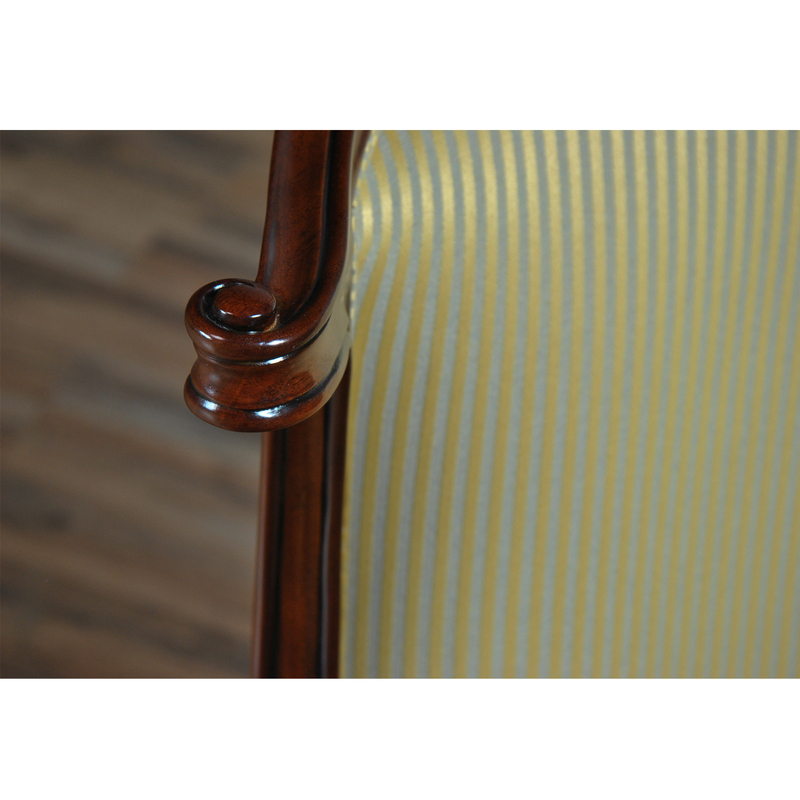 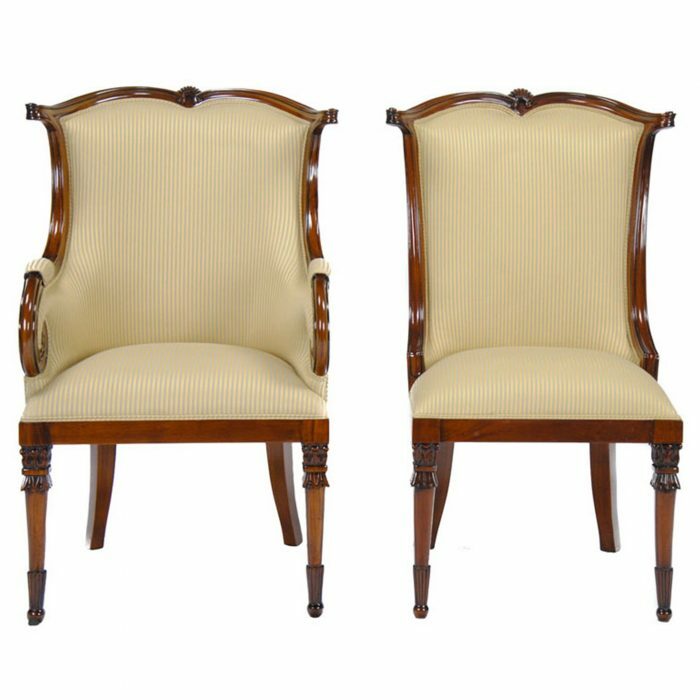 Inspired by an antique American chair these beautifully finished and upholstered these chairs have a sophisticated, high end designer style that will make will make any dining room “pop”. 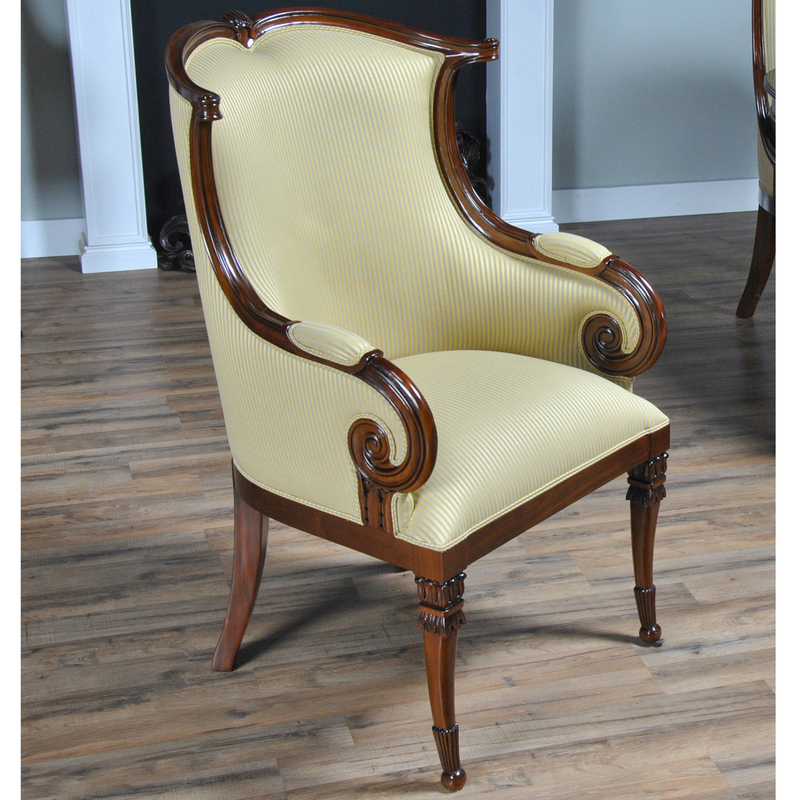 Super comfortable and so attractive your guests might not want to leave. 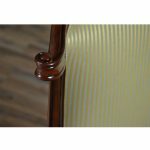 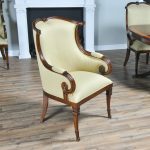 Hand crafted from solid, plantation grown mahogany these chairs ship with a beautiful finish and our most popular neutral fabric and are ready to use the moment they arrive in your home. 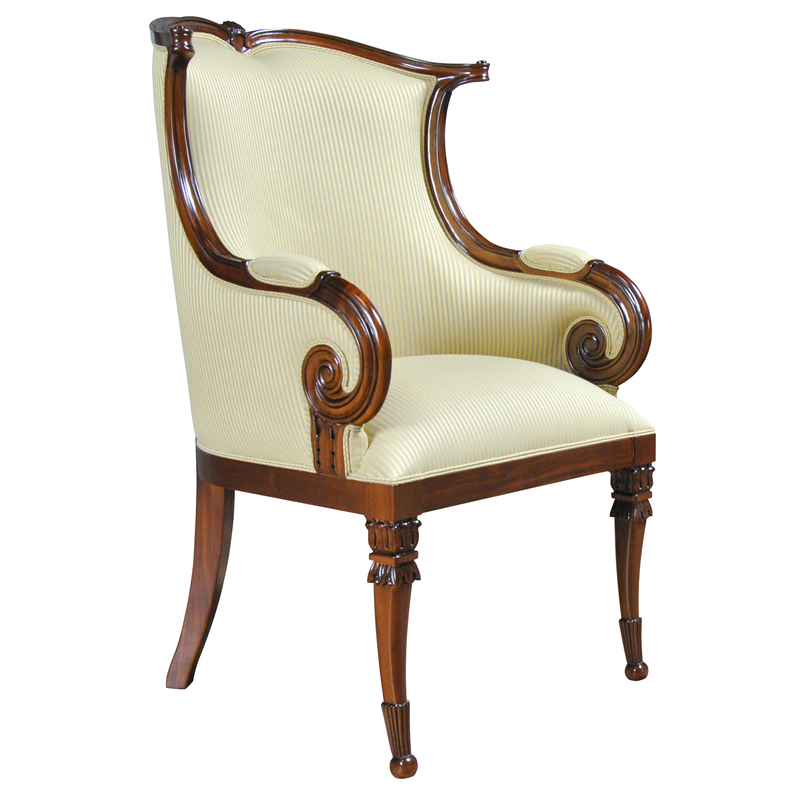 Arm Height approximately at upholstery point 28 inches and seat height approximately 21 inches.